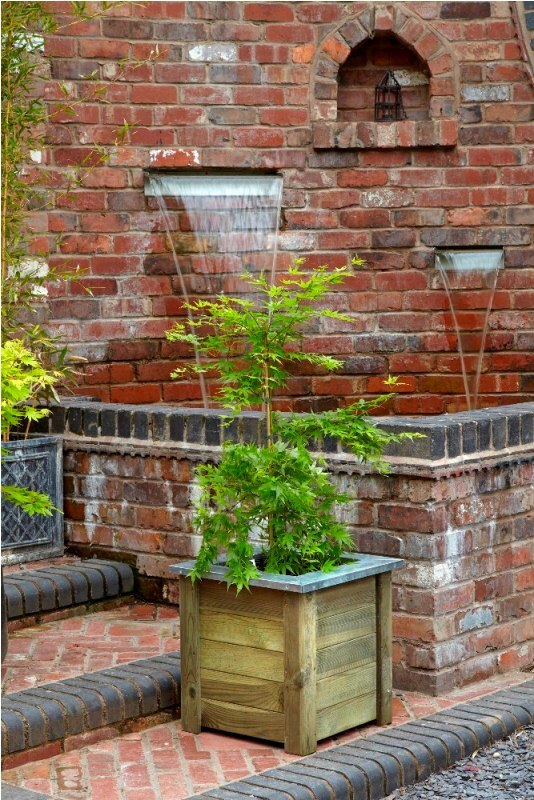 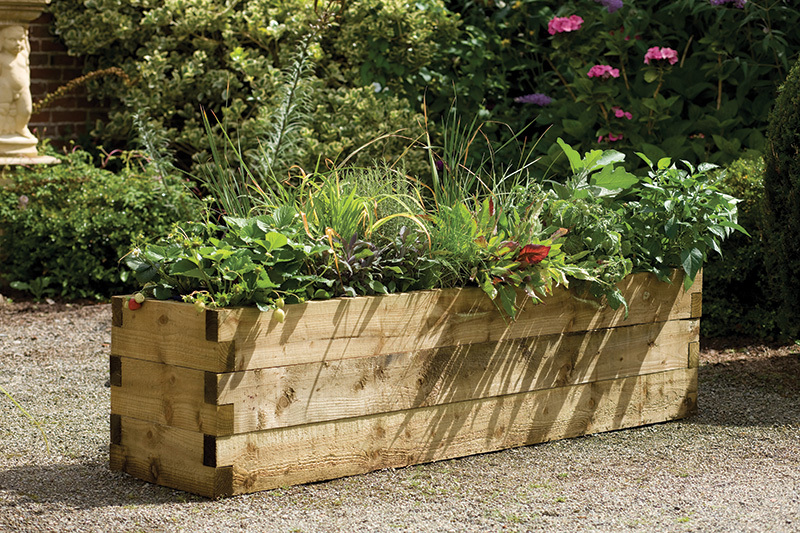 A range of wooden planters designed to be strong, decorative and traditional. 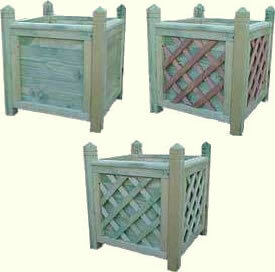 These wooden planters ideal for use on your patio or deck to brighten up your garden. 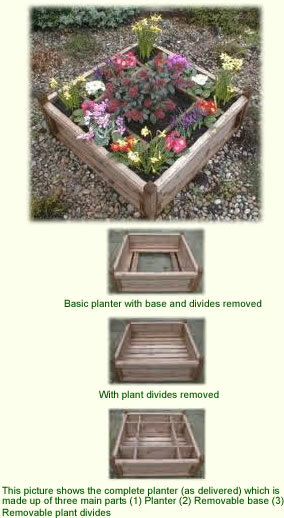 The range also includes many treated tanalised planters for a long life. 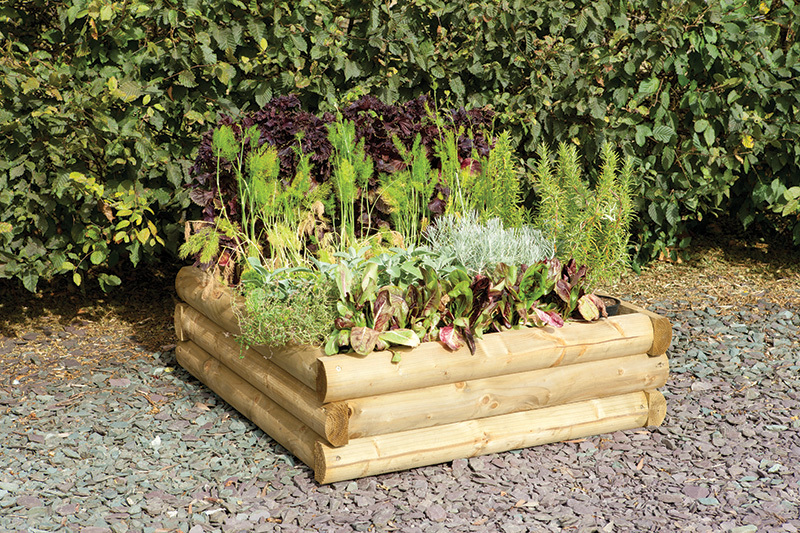 The 3 Tiered Raised Bed is a three tiered raised bed has four individual planting sections. 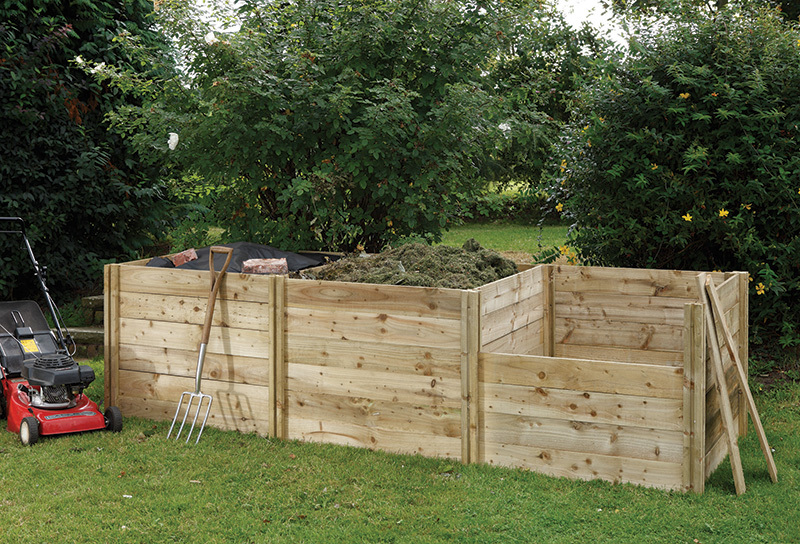 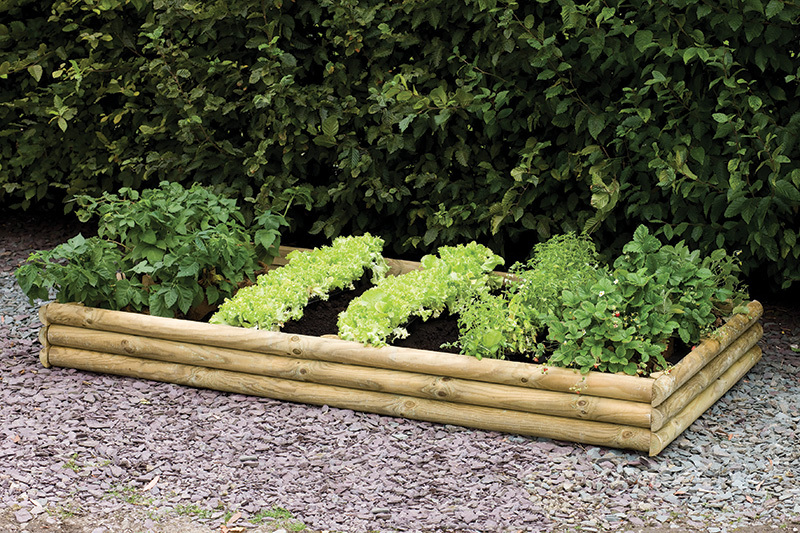 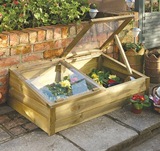 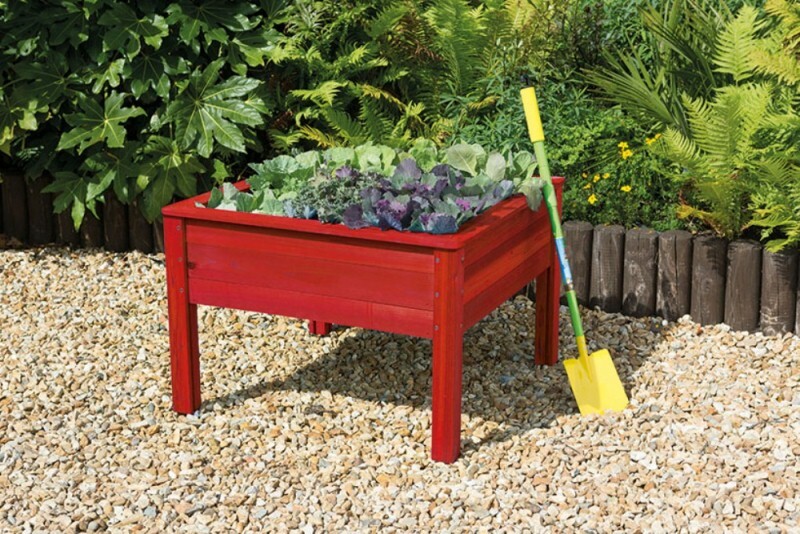 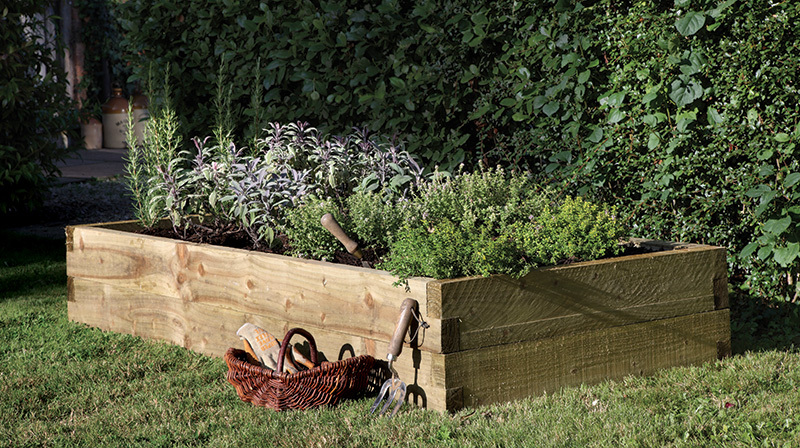 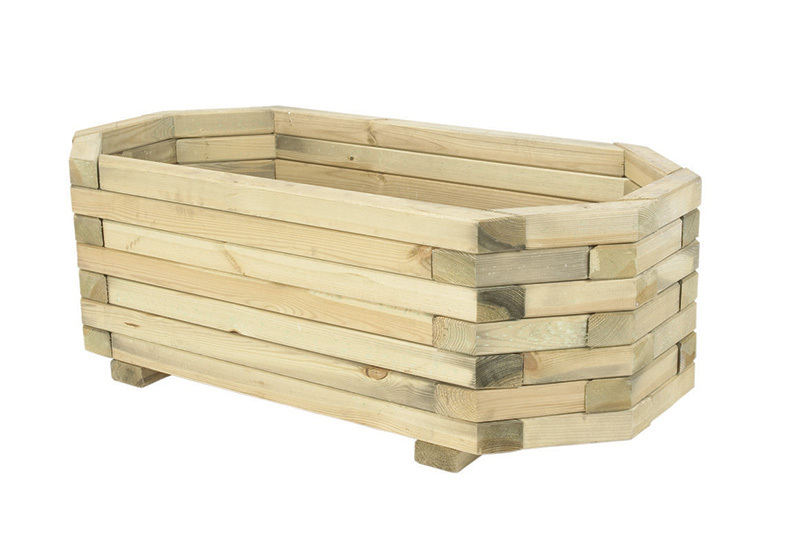 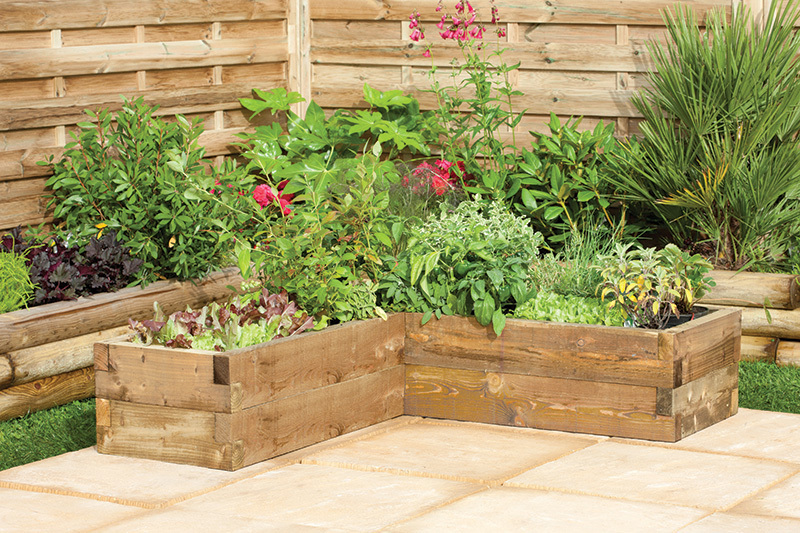 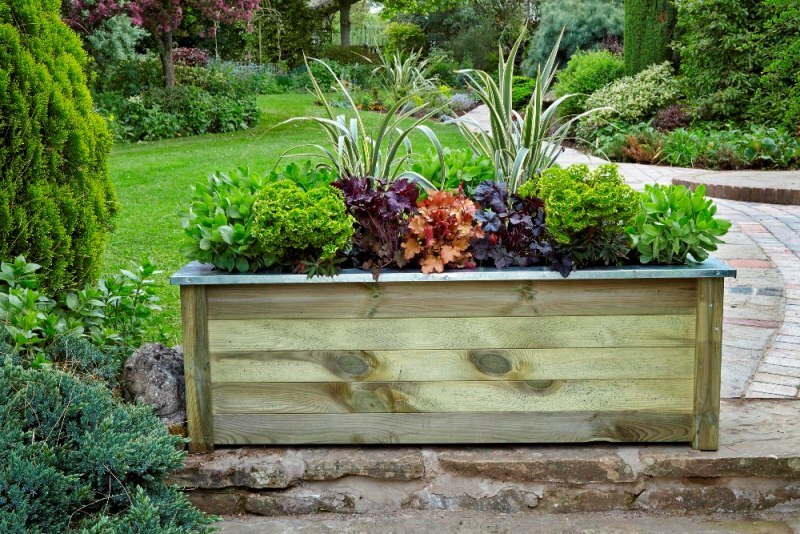 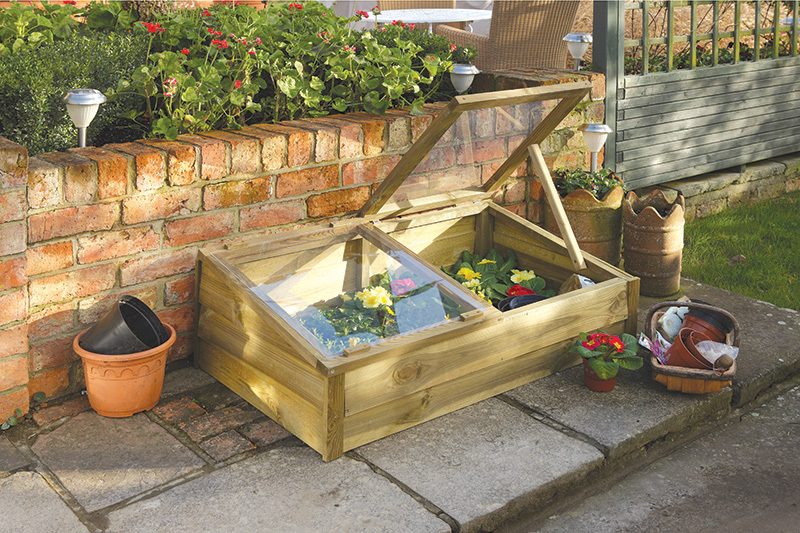 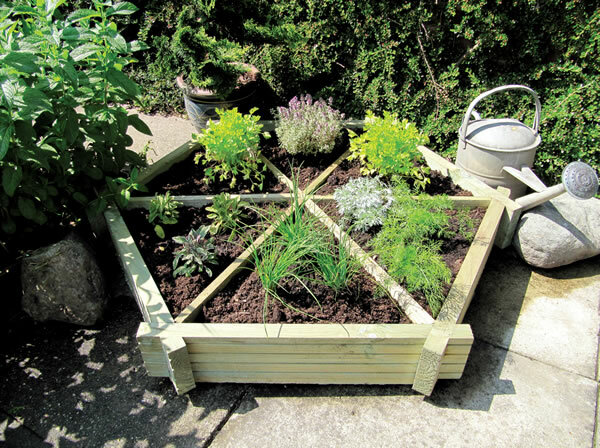 This easy build raised bed is perfect for vegetable, herbs or flowers. 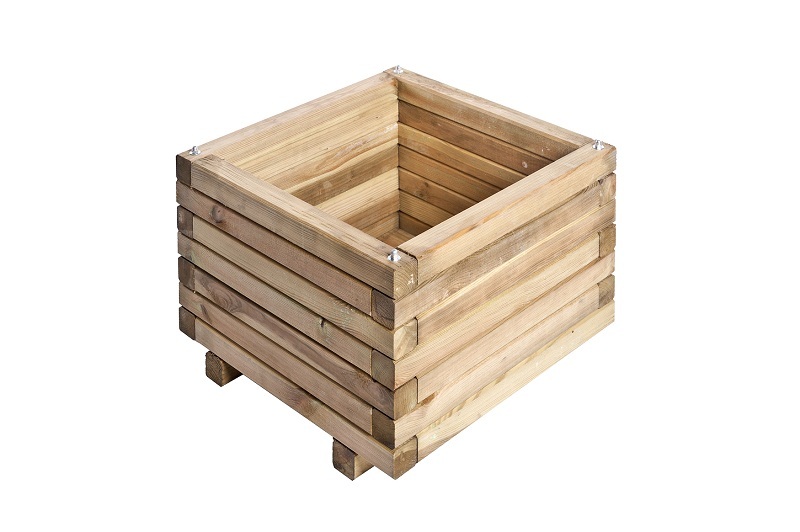 This planters sleek design design will add a touch of character to any garden and it is suitable for flowers, vegetables, herbs and other plants. 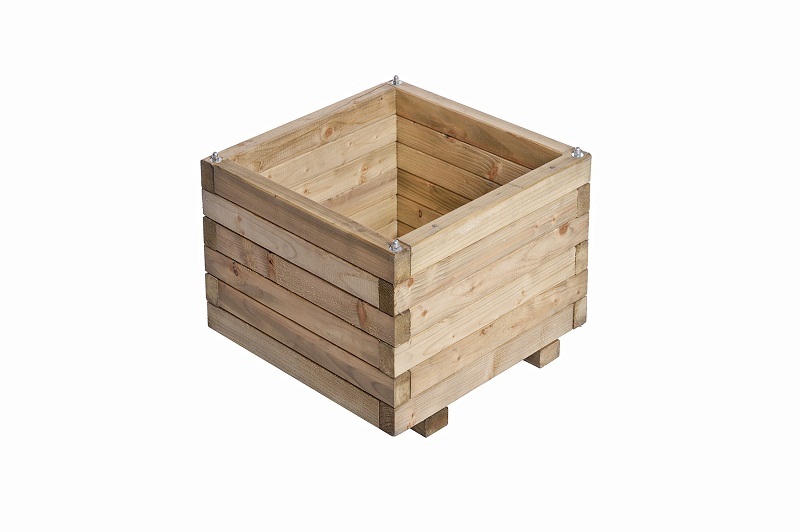 This planters sleek design design will add a touch of charm to any garden and it is suitable for flowers, vegetables, herbs and other plants. 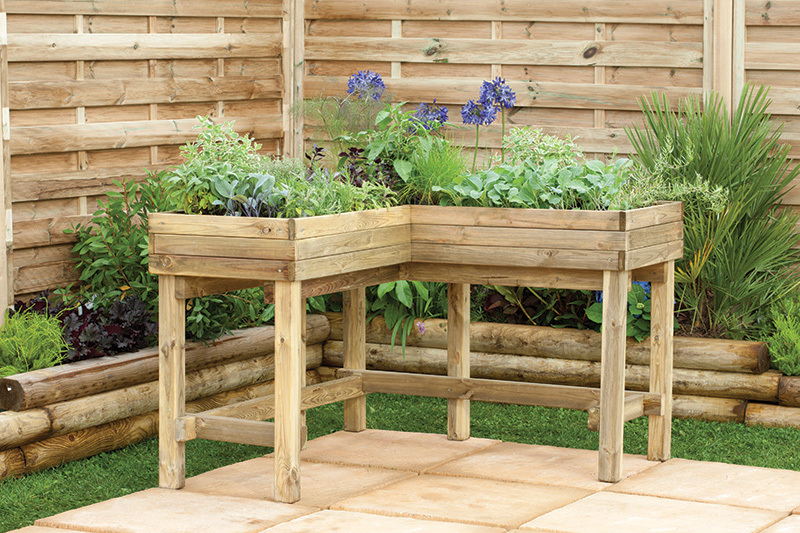 The Corner Table Planter Part is a high level corner planter makes gardening accessible to everyone, including the less-abled gardener, those with limited garden space and has also been designed with wheelchairs in mind. 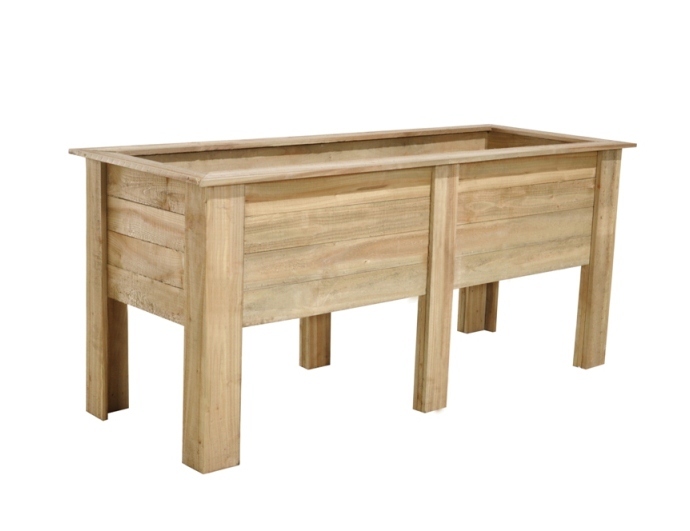 The Junior Square Planter table is a perfect child's play area. 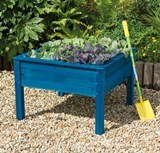 It can either be used for teaching children how to grow plants or it can be used as a sand pit. 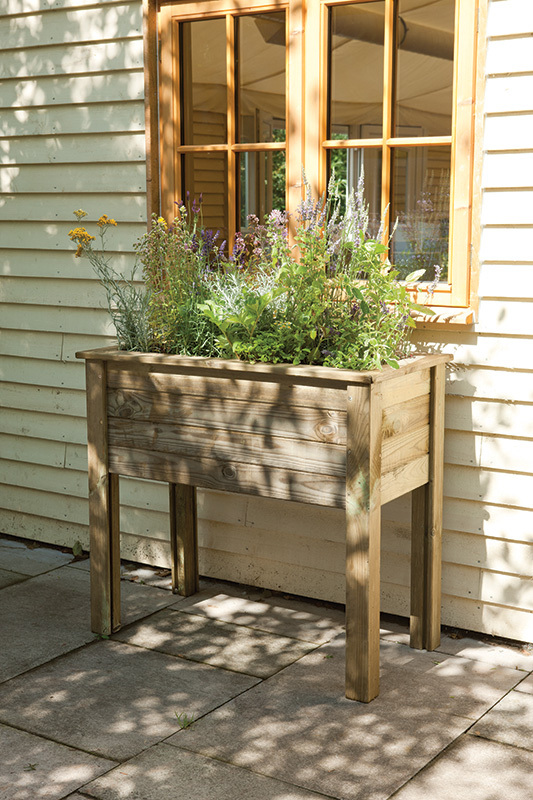 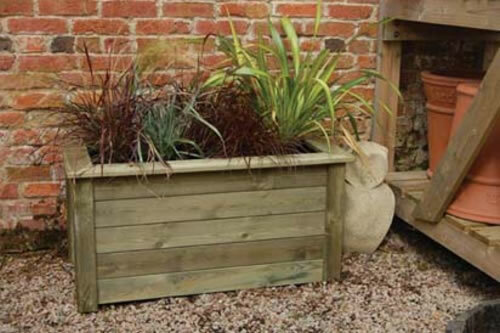 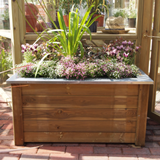 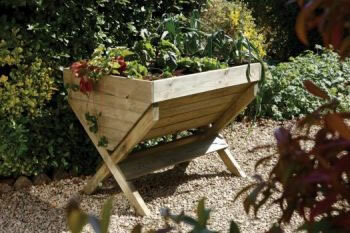 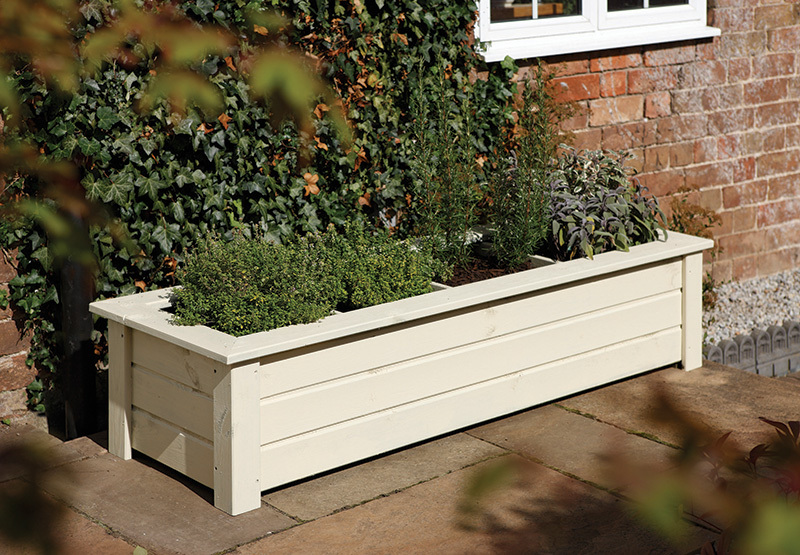 The Forest Garden Richmond Planter is a versatile planter ideal for plants, herbs or vegetables. 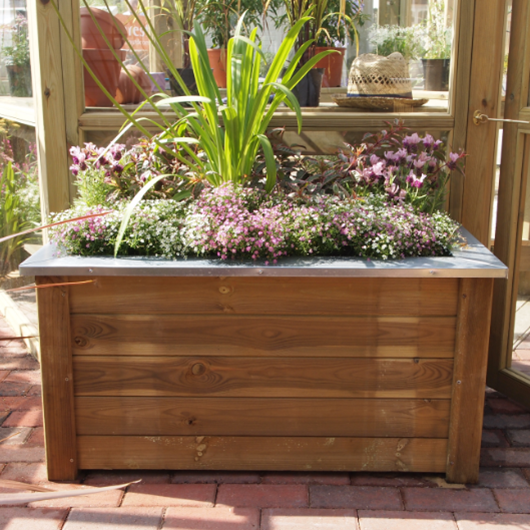 This planter holds 110 Litres of compost. 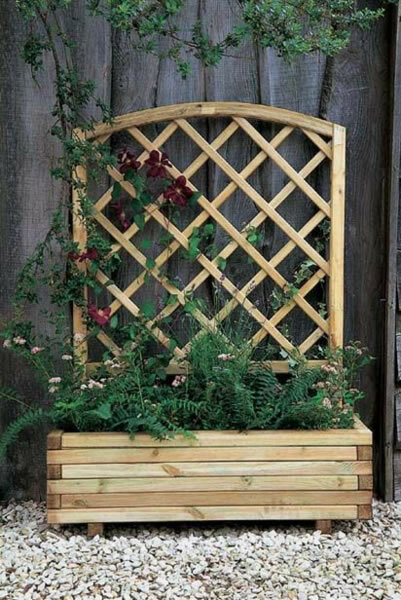 This Toulouse Planter from Forest is a simple planter with a curved top trellis. 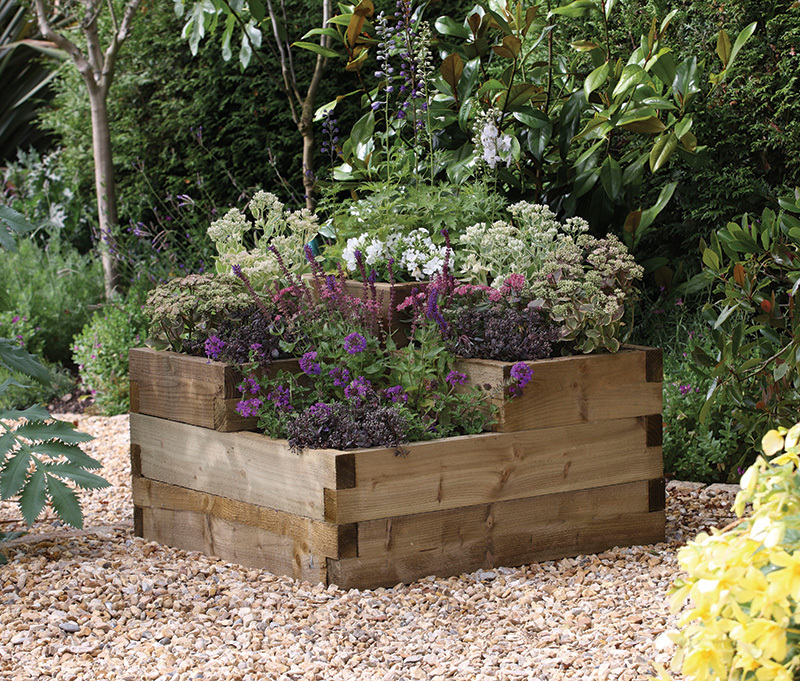 Hexagonal Wooden Herb Wheel Planter from Grange, with six separate growing areas. 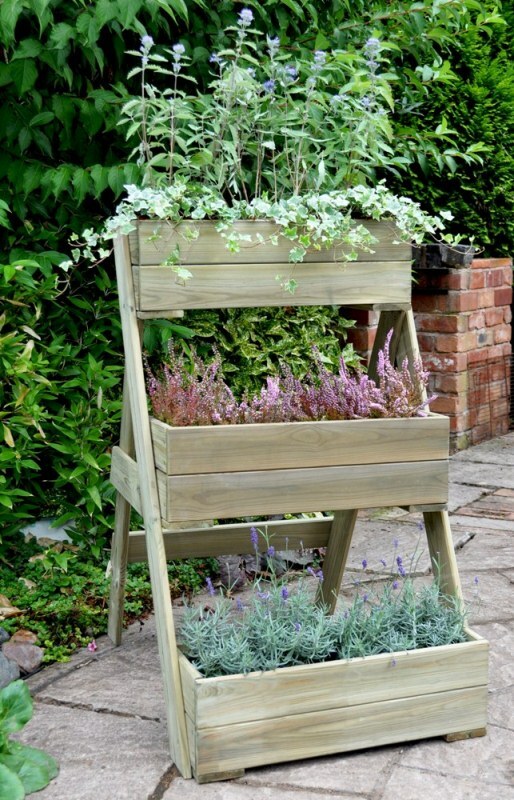 Allowing you to use a variety of home grown herbs in your cooking.